Now available from LDesigns. Unique handbags at great prices! 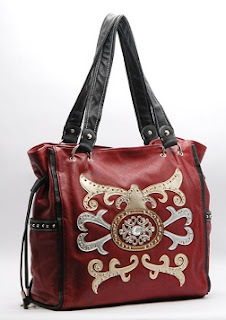 This western inspired burgundy bag is $40.